WASHINGTON — The Trump administration announced Monday it is reactivating economic sanctions on Iran that were lifted as part of the landmark multinational nuclear accord — a tough move that may nonetheless leave the U.S. more isolated. 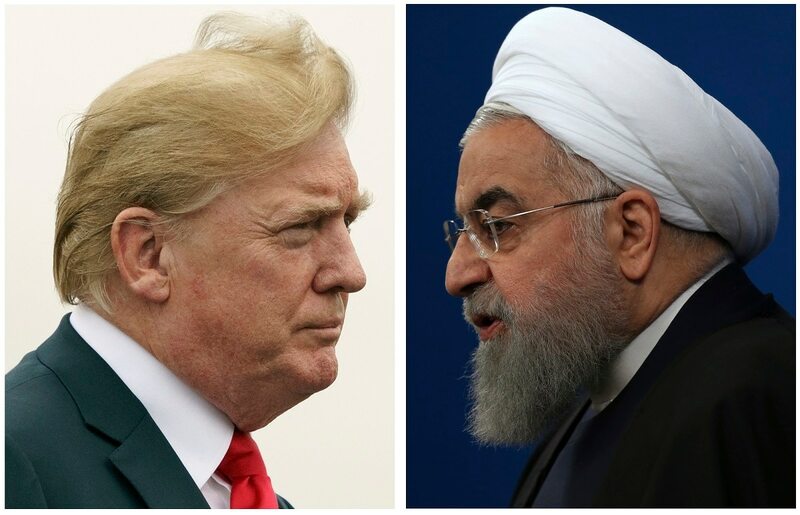 The action follows up on President Donald Trump’s unilateral decision in May to withdraw from the 2015 Joint Comprehensive Plan of Action negotiated by the Obama administration to lift sanctions on Iran in exchange for a freeze on its nuclear program. European nations, Russia and China had urged Trump to stay in the pact. And on Monday, the European Union moved to thwart America’s reimposition of Iran sanctions, announcing a “blocking statute” to shield EU operators to recover damages and ban EU persons from complying with the sanctions. A statement by EU diplomatic chief Federica Mogherini and the foreign ministers of Britain, France and Germany said it would also work to keep “effective financial channels” open with Iran. “We deeply regret the re-imposition of sanctions by the US, due to the latter’s withdrawal from the Joint Comprehensive Plan of Action (JCPOA),” the statement issued in Brussels said. Trump argued the JCPOA was a “horrible, one-sided deal” that left Tehran with the resources to fuel conflict in the Middle East. The administration has touted the reimposition of actions as a means to cut off Tehran’s ability to fund terrorism and weapons proliferation. “Since the deal was reached, Iran’s aggression has only increased. The regime has used the windfall of newly accessible funds it received under the JCPOA to build nuclear-capable missiles, fund terrorism, and fuel conflict across the Middle East and beyond,” Trump said in a statement Monday. In spite of EU opposition, Trump said he wants to get tougher still, with “a more comprehensive deal that addresses the full range of the regime’s malign activities, including its ballistic missile program and its support for terrorism." The first wave of sanctions will go into effect at midnight for Iran’s automotive sector and on its precious medals trade, with the next wave of sanctions targeting Iran’s energy sector due in November. Geopolitical hot spots dominated Defense Secretary Jim Mattis’ appearance before the Senate Armed Services Committee, alongside Joint Chiefs of Staff Chairman Gen. Joe Dunford. Meanwhile, there have been some mixed messages from the administration. Trump said last week that he would meet with Iran’s president with “no preconditions” — only to be contradicted by Secretary of State Mike Pompeo, who listed a number of preconditions to such a meeting. On Saturday, Trump said any meeting with the Iranian regime is "up to them." “Iran, and it’s economy, is going very bad, and fast! I will meet, or not meet, it doesn’t matter — it is up to them!” Trump wrote on Twitter. Officials with the State and Treasury departments have been traveling to 20 countries to coordinate with governments, according to the administration. Israeli Prime Minister Benjamin Netanyahu represented a global minority in support of Trump’s move, calling on European countries to fall in line. “This is an important moment for Israel, for the United States, for the region, and for the entire world,” Netanyahu said Monday, as quoted by the Times of Israel. From Capitol Hill, a number of Republican lawmakers voiced support for the White House, including Sen. Jim Inhofe, a senior member of the Senate Armed Services Committee. “Three months ago, President Trump stood up against Iran’s malign behavior by pulling out of flawed Iran Deal,” Inhofe, R-Okla., said in a statement. “Today, he continues his leadership by reimposing strong sanctions that will show Iran that their support for terrorism and expansion of their ballistic missile capabilities are unacceptable."